With us now solidly into the Christmas period, we've seen the map overhauled to a winter wonderland to help us feel festive throughout the winter. Epic Games has made Fortnite Creative available to Battle Pass owners today (general availability begins next week, on 13 Dec). Battle Royale season 7 is finally here and it's a big, map-changing update for the winter holidays. 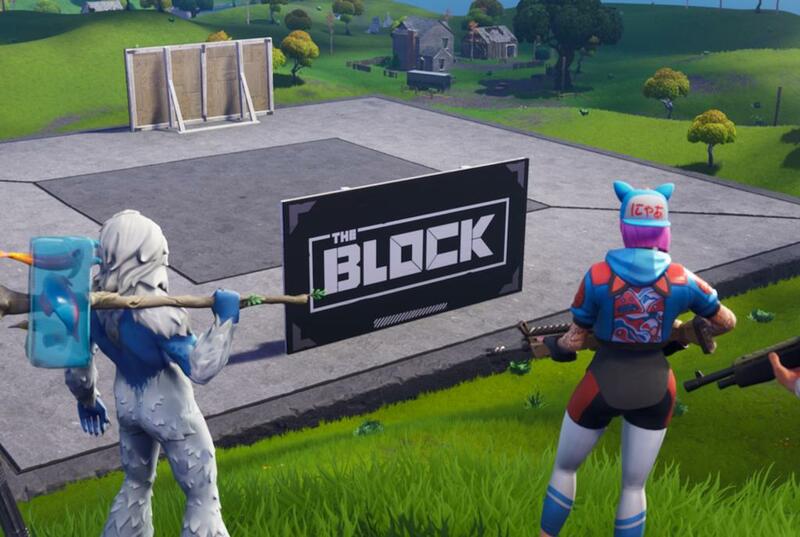 The Creative mode gives players their own Fortnite island and offers them the chance to create virtually anything, and "the best and coolest" creations will be displayed in the actual game at The Block for everyone to see. We've included a screenshot of the map above, followed by where you'll want to land and dance to successfully complete stage one of this challenge. Meanwhile, the submarine can be found in the new Iceberg biome on top of a mountain shown in our screenshot. So, what is this Creative Mode that the battle pass gets you early access to? Who knows what people will come up with as the season progresses. This time around, Epic has launched custom vehicle and weapon skins called Wraps, as well as additional pets and more toys. It's hard to say how all these new changes will affect the game and how players will take to the game-changing new ways to travel. Fortnite Season 7 has arrived, bringing with it new named locations, a plethora of new skins and cosmetics to get your hands on, and a wintery theme to a massive section of the map.